Pity we can’t send all these socialist lovers, on a ONE WAY trip To venezuela.. 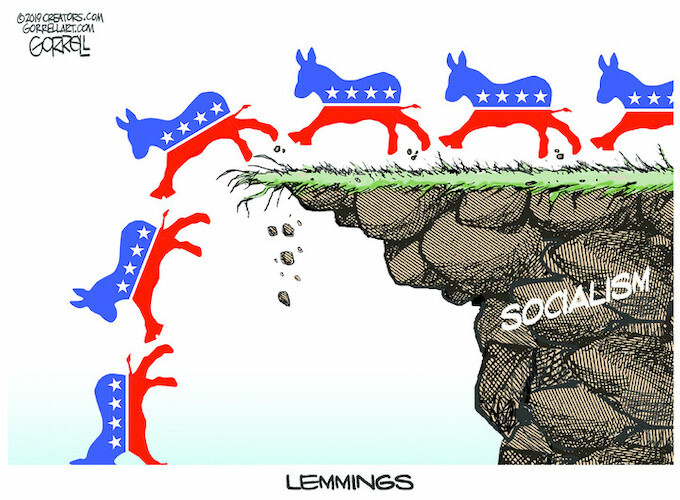 This cartoon is SO dead on, I can’t think of a THING to add to the message it conveys, except that what is NOT shown in this view is how these donkeys want to push the REST of us off that cliff along with them! The only thing that’s missing are the RINOs. Just stick a few RINOs in there and it will be perfect. Maybe Pablo Ryan leading the charge.